As you prepare for Turkey Day, I thought you would enjoy today’s Guest Blog written by 2016 Olympics contender John Casey. 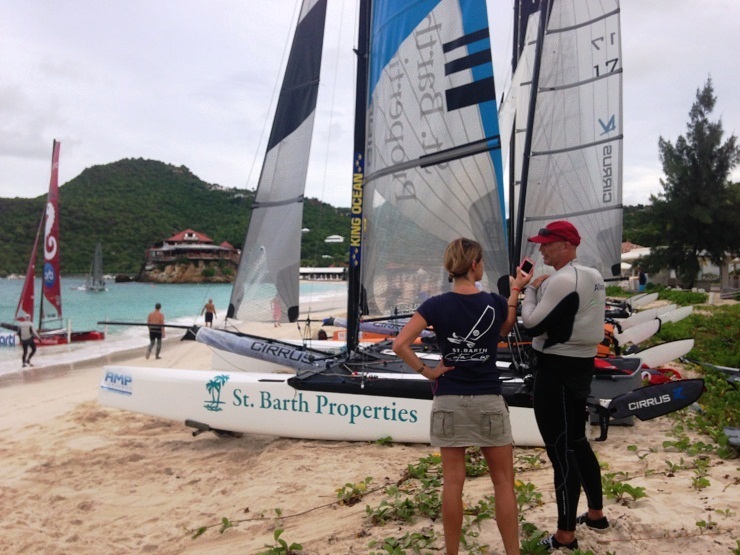 St. Barth Properties Sotheby’s International Realty is proud to be a sponsor of his catamaran. Thank you John! As I enjoy the back porch view from Villa Les Mouettes, I now have time to casually reflect on this year’s edition of the St. Barth CataCup. The current version of the CataCup, which has become one of the premier regattas of the world, is sailed on 18 foot beach catamarans. 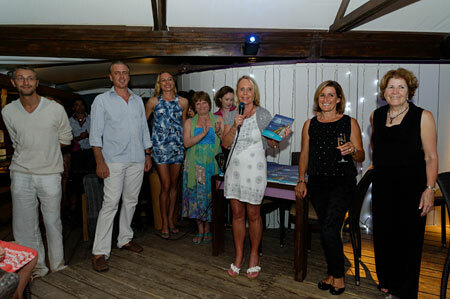 Our St. Barth Properties Sotheby’s International Realty Sailing Team started three years ago, and we’ve watched this event grow from 35 entries to the maximum allowable 57 entries. This year the entry list was overfilled in just eight minutes after online entries were open! This is partially due to the quality of competition, but is undoubtedly due to the quality of St. Barth on and off the water. Some of my U.S. friends are, let me say, a little too spoiled by this regatta; it’s the only regatta they do every year! They just simply don’t feel the desire to sail anywhere else. 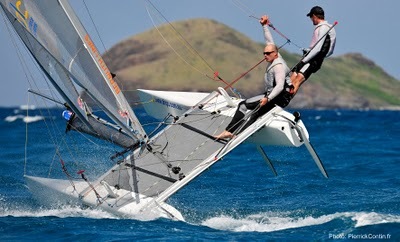 I love sailing a bit more than that, but I see where they are coming from. This year our Team was joined by more of the sport’s heavy hitters. There were multiple world champions, Olympic medalists and future Olympic hopefuls. I have many championships under my belt, but I’m also currently in the deep heat of an Olympic Campaign myself, so this year I teamed with our Canadian training Partner, Luke Ramsay, who actually went to The Games in 2012. As it turns out, our finish of 5th place of 57 wasn’t what we hoped for, but since we are a new team, we were happy with our competitiveness against the high level of competition. We had some podium finishes along the way, but also some setbacks that saw us held up in the pack. Unlike any event I’ve been to around the world, I’ve been drawn to this island. What is it about this place? Is it how everything is impeccably clean? Is it the perfect sailing conditions around stunning rock faces and picturesque beaches? 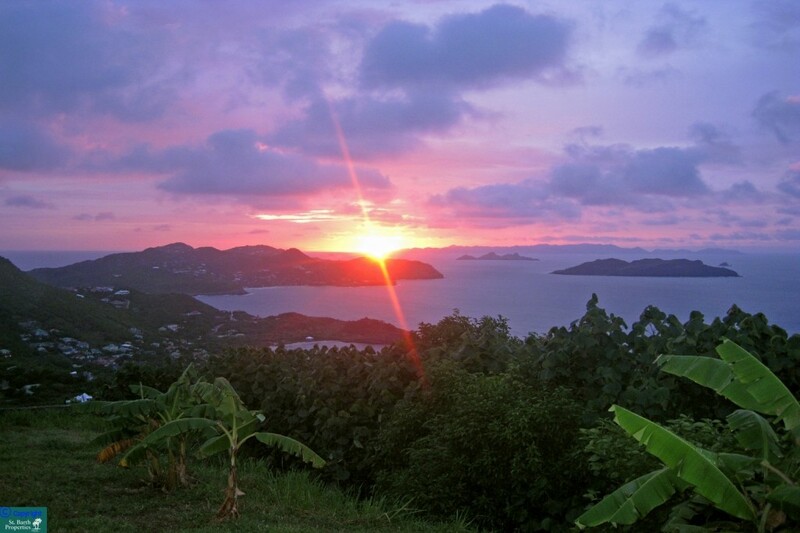 Is it the wonderful view from almost anywhere on this mountainous island? Or is it the easy feeling I get from the locals who have now become some of my best friends? YES, it is all of it…the perfect combination to keep me yearning for my return every year. 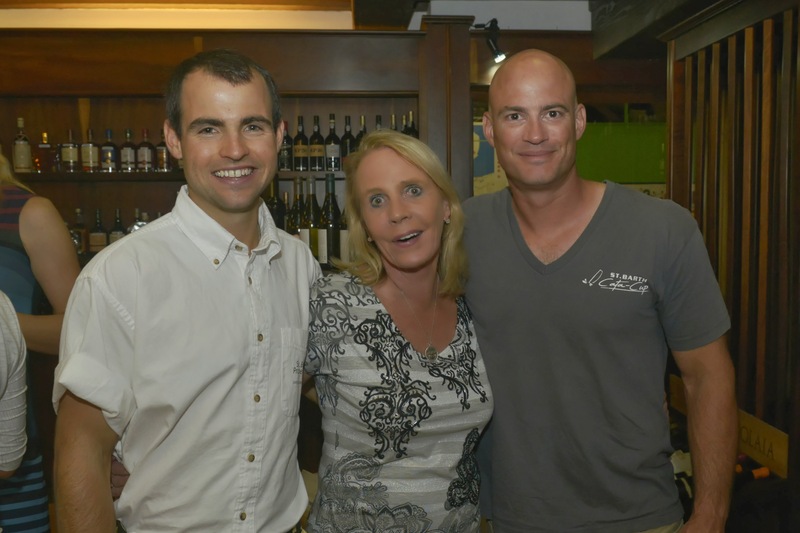 We were also lucky enough to enjoy the 25-year anniversary party this month where I saw how far St. Barth Properties has come. 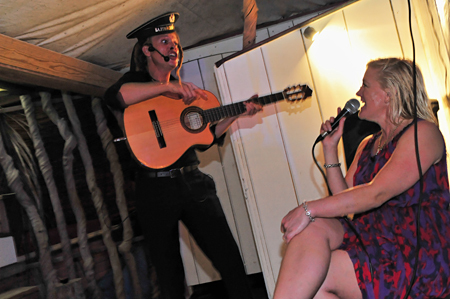 We really enjoyed their Beaujolais Nouveau party too. I’m so proud to be part of the Team! One of our repeat guests contacted me to ask about the date of St. Barth Properties annual Beachside Bash before he finalized his villa reservation because he and his guests didn’t want to miss it. It’s official. We have set the date for our annual Beachside Bash. It will be held November 14th, 2013. So, if you have not done so already, it is time to book your villa or hotel accommodation. 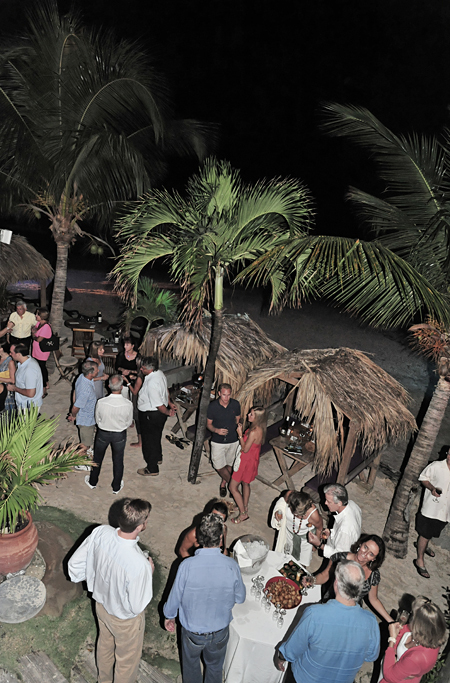 For those of you who have never been to our Beachside Bash, it’s a fun evening party designed especially for you, our very special clients, our on-island partners and any of our villa owners who happen to be on-island at the time. It is hosted by St. Barth Properties and we use the occasion to launch the upcoming Season and unveil our latest Live your Dream catalogue. We’ll begin with an apéritif and hors d’œuvres followed by dinner and dancing. The ever popular Solely will be strumming his guitar as he sings to us. 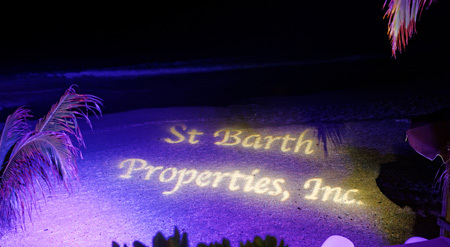 This year’s Beachside Bash will be a very special one because the 2014 Season marks the 25th anniversary of when I founded St. Barth Properties and trademarked my mantra Live Your Dream®. When I first set foot on St. Barth for the very first time in 1986, I was living my dream and I hope all of you do the same. What’s more? We are celebrating this special event at the elegant beachfront Hotel Taïwana. What a spot! 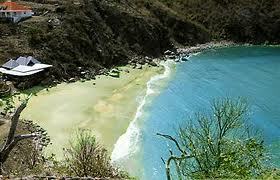 It sits directly on one of St. Barth’s most gorgeous beaches – Flamands. It’s the perfect place to mingle while enjoying the ambience. We even offer valet parking! The theme throughout the evening will be SBP’s 25th Anniversary, so if you want to wear something in silver you have plenty of time to shop for it. LOL – 7:00 PM is the start time. We can begin celebrating with une coupe de Champagne, a Planteur’s Punch or perhaps a Mojito. 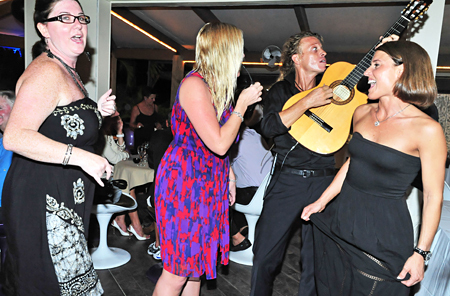 I can’t wait to see you all on St. Barth and at the SBP Silver Anniversary Beachside Bash on November 14th 2013. If you want to make a reservation at one of our villas or hotels, just contact me at pegwalsh@stbarth.com or one of our St. Barth Specialists at reservations@stbarth.com. 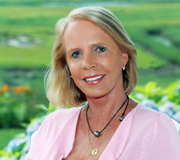 Our USA office concierge Julia Hurd will be sure to add you to our Guest List and send you an invitation. Please RSVP at your earliest convenience. P.S. If you can, “Stay just a little bit longer”… our annual Beaujolais Nouveau wine tasting will begin precisely at 7:01 PM on November 20th at Le Cellier du Gouverneur wine shop in Gustavia…”Oh, won’t you stay just a little bit longer? Please let me hear you say that you will” and Julia will be pleased to send you an invitation to join us for a toast. We can be our own connoisseurs and critique the new vintage. As a bonus, the 2013 St Barth Cata Cup catamaran regatta is being held Nov 18-26 and we are hoping for first place for our sponsored boat captained by aspiring 2016 Olympic contender John Casey– What a month to be on St. Barth! Our annual Beachside Bash was held at Dð Brazil on Shell Beach November 10, 2012; I loved meeting both our repeat clients as well as our new clients. I always introduce our new Live Your Dream Catalogue at our Beachside Bash so our advertising partners were also invited. Christine Gordon sang beautifully all night long and bumped it up a bit as the evening wore on and the next thing we knew we were up and dancing. You should consider hiring her if you plan on hosting a party at your villa. On November 14 at precisely 7:01 pm we had our first taste of the Beaujolais Nouveau at Le Cellier du Gouverneur in Gustavia. 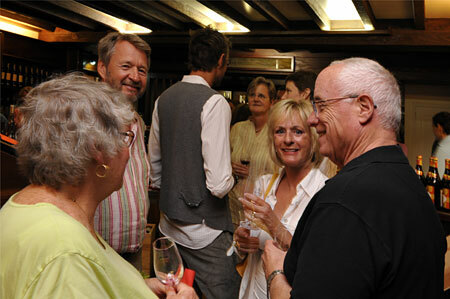 Once again we hosted our clients who by now were good friends. The verdict? This year’s vintage is “pretty good.” I hope that you can join us for these two events next year. To those of you who suffered the wrath of Super-Storm Sandy, I am thinking of all of you and hope that the damage it caused can be repaired and that life will get back to normal in the coming days. We had clients that were scheduled to go to St. Barts this week and had to cancel because their house was flooded and they could not leave the country at this time. Unfortunately they did not take out the optional insurance that we offer. If they had, their trip would have been covered and their expenses would have been reimbursed by the insurance company. However, we at St. Barth Properties went to bat for them to see if the owner of Villa Enfin would agree to allow them to reschedule their stay to another date. He generously agreed. 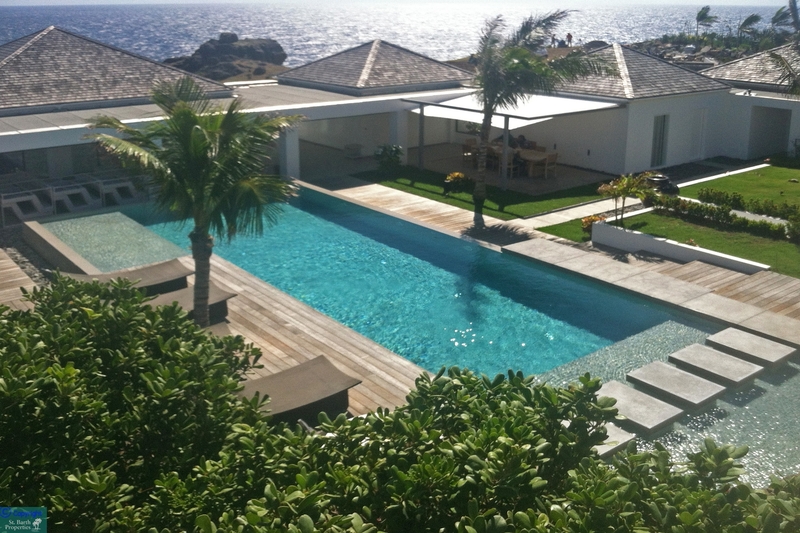 I am sure these clients will look forward to being able to relax in St. Barts once they have recovered from the storm damage. I hope that you will want to do the same when the time comes to start thinking about a vacation. I am heading to St. Barts on Wednesday to attend meetings, do hotel and villa inspections and to host our annual Beachside Bash November 10 as well as our Beaujolais Nouveau tasting on November 14, 2012. The CataCup race will begin November 14. 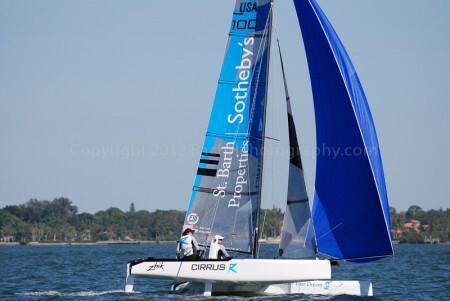 St. Barth Properties Sotheby’s International Realty is again sponsoring a fantastic catamaran that is captained by multi-hull champion, John Casey. Dalton Tebo will once more be his very talented sailing partner. 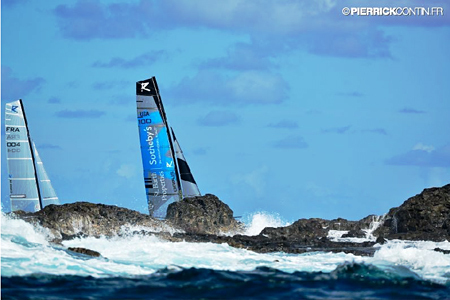 “The St. Barth CataCup, the most exciting catamaran event of the year, is right around the corner and our St. Barth Properties Sotheby’s International Realty Sailing Team has been training all year for this very moment. The container, full of fast, sleek catamarans, left Miami on October 29th and is bound for St. Barth. The sailing race will start at Nikki Beach on November 14th. This event is chock-full of world champions and Olympic athletes ready to make their mark in sailing history. 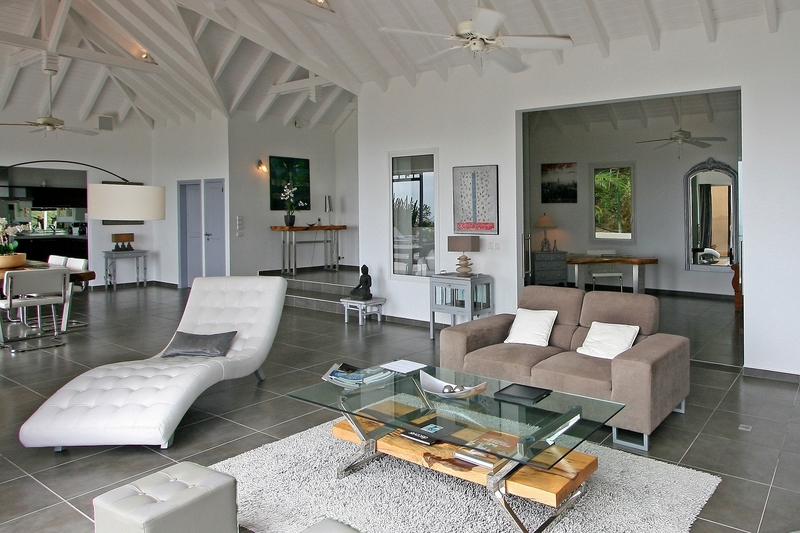 Look for the St. Barth Properties Sotheby’s International Realty catamaran on the beach and come say hello. Our team won two years ago and finished a close second last year. We have a new boat and are excited to come back to the window pane clear water to race, but just as excited to visit with Peg and the whole team! Note from Peg: John Casey and Sarah Newberry are going for the Gold at the 2016 Summer Olympics in Rio. Read all about it here http://www.usamultihull2016.com/. Why not support them in their endeavor and donate to the cause? 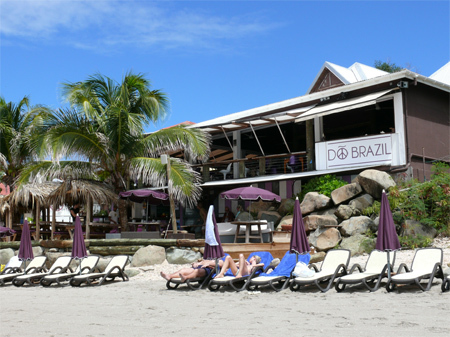 Join us at Dð Brazil on Shell Beach in beautiful St. Barts for drinks, dinner and music. All of our confirmed hotel and villa guests are invited. We’ve set November 10, 2012 as the date to launch the 2012-13 season with our 4th annual beach party at Shell Beach’s Dõ Brazil. If you missed it last year, we hope you can join us this year. It promises to quite a party! 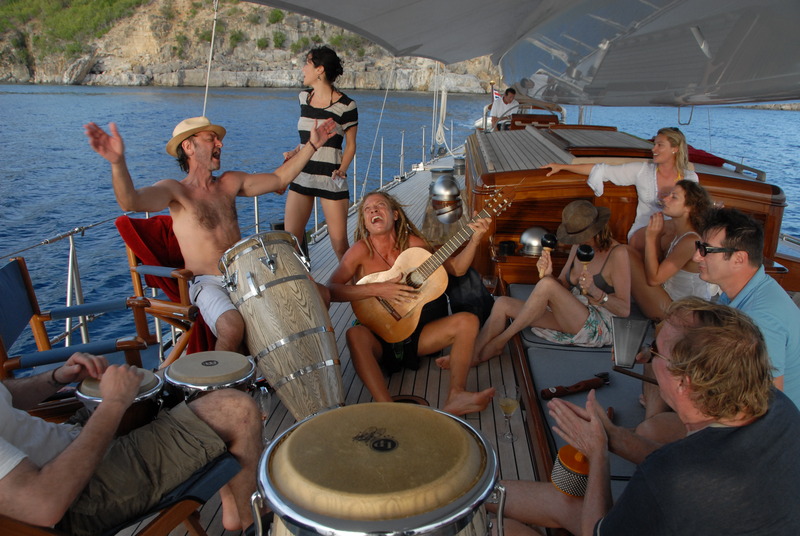 We call it the Beachside Bash and the idea came to us in 2009. That year, the iconic bar and burger shack Le Select was celebrating its 60th anniversary in early November, and its biggest fan, Jimmy Buffett, announced that he would give a free concert. Requests poured in from friends and clients who wanted to come down and join in. It was so much fun that we decided to have a pre-season party every year. And we have. This year’s Bash will again include great food, wine and cocktails; the company of old and new friends and clients (who then become friends) and live entertainment that we hope will get everyone up dancing. 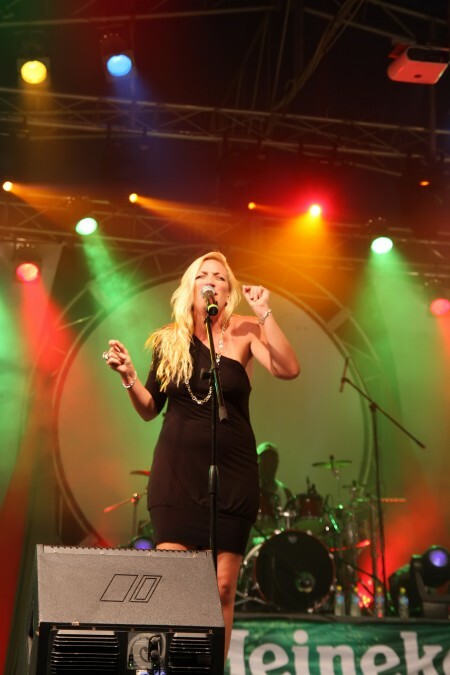 The island’s favorite songstress, Christine Gordon, and the popular guitar-strumming vocalist Soley will be entertaining us! Christine Gordon will get you to shake your booty! As is now our tradition, we will unveil the new issue of our Live Your Dream® publication. It’s our 17th edition and we hope you will be delighted with it. 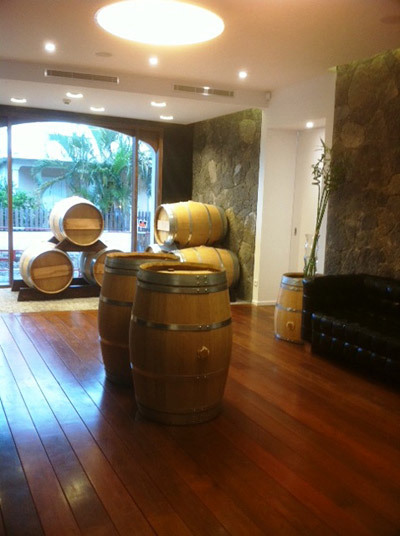 If you are staying in St. Barts the following week, please join us at Le Cellier du Gouverneur wine shop in Gustavia on November 14 at exactly 7:01 pm where we will taste this year’s vintage of the Beaujolais Nouveau. (We are allowed to do it on Wednesday because it will be 12:01 am on Thursday in France which is the exact time that the first bottle can be opened). It will be a pleasure to see you there. November 14, 2012 at precisely 7:01 p.m.
Actually, November is a great time to come to St. Barts. Everything is fresh and new, it’s not too crowded and Value Season pricing is in effect. The Beachside Bash and the Beaujolais Nouveau are two more reasons to come and are complimentary for our valued friends and clients. 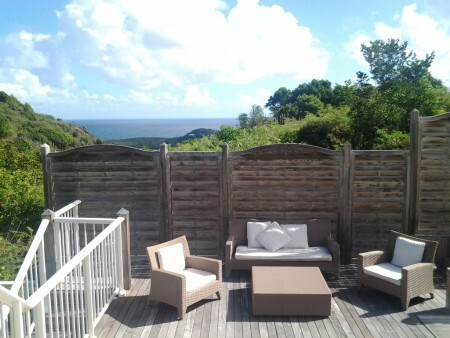 If you have not booked your accommodation yet, please email reservations@stbarth.com. If you are already booked, please contact Julia Hurd at concierge@stbarth.com to RSVP to one and/or both events. If you still haven’t made your plans to spend Christmas and New Year’s in St. Barth, check out our availability online. 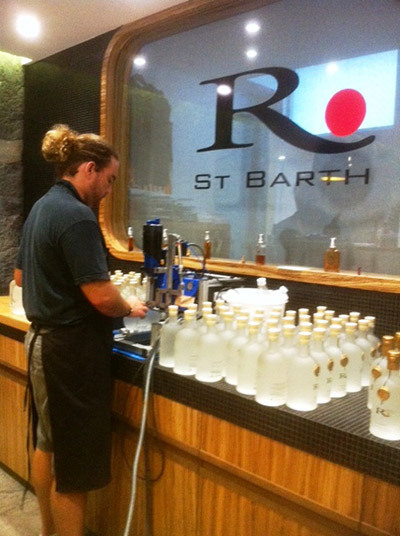 A mix-up regarding a St. Barth event being held in New York City made for a very hectic day last Wednesday. You see, I received an email at noon reconfirming a Champagne reception and dinner that was to take place at 6:30 pm that very night! What was this all about? I had heard rumors that some sort of gathering promoting St. Barth was going to take place but did not have the details. I spoke with David Zara (one of the owners of Tradewind Aviation with shuttle service from San Juan to St Barth) who had organized the event and he did not understand why I had not received the invitation because every member of the St Barth Hotel Association of which SBP is a member, was invited. He proceeded to tell me that I was on the guest list and was hosting a table! Yikes! I had to go as I did not want to miss it. I booked a flight, secured a hotel room and packed a bag. (Lucky for me that my carry-on is always packed). As I was scurrying around to get ready for the 1.5 hour trip from my house on Cape Cod to Logan airport, to catch a 4:30 pm flight to La Guardia, one of David’s partners, Eric Zipkin called me to say that he had heard about the snafu and that he was able to send a plane to pick me up in Hyannis at 5:00 pm and take me to White Plains New York! Needless to say, I jumped at the chance and asked them to arrange for a limo to take me from there to Villa Pacri restaurant where the cocktail reception and dinner was to take place. Precisely at 5:00 pm I hopped one of their beautiful Pilatus planes and in an hour I was in White Plains, whisked to the restaurant and voilà I was there in time to meet people and talk-up our fabulous little island. Tradewind’s other partner David Zipkin as well as David Zara were there to greet me. 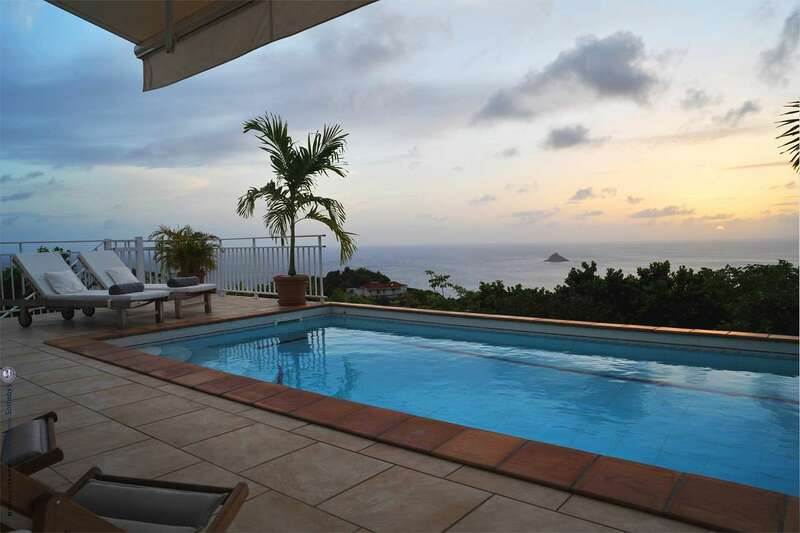 Villa Pacri is a multi-level venue and due to officially open today, November 23, 2010 and Pascal Ramette who owns Pacri restaurant in St. Barth is one of the owners. The atmosphere was wonderful as was the food. 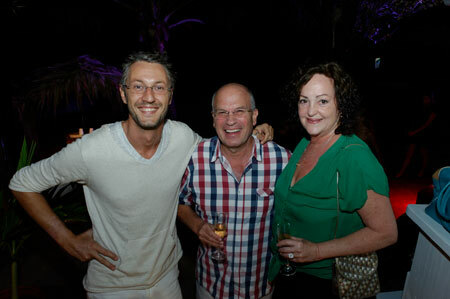 At the same time, the Beaujolais Nouveau tasting was taking place in St. Barth. 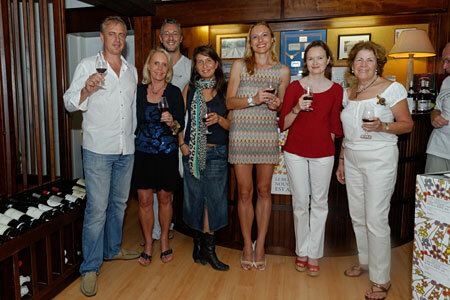 Clients and invited guests of St Barth Properties had the opportunity to taste the 2010 vintage of the Beaujolais Nouveau five hours earlier than their friends in France! Thanks to the time difference, we did not have to wait until 1 second after midnight on November 18th to imbibe. On the contrary, the bottles of this very young wine were opened just one second after 7:00 pm on the 17th – and the tasting began. 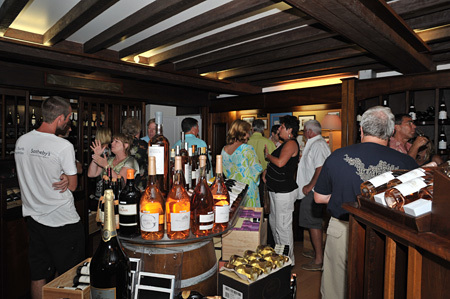 Clients and friends of St Barth Properties gathered at the Cellier du Gouverneur in Gustavia and were the first to enjoy the tasting. The verdict? Wonderful!…it was a good vintage with a nice strawberry flavor. I hope you will try it. If you are unable to attend our St. Barth Properties November Party, never fear, there is another celebration the following week! 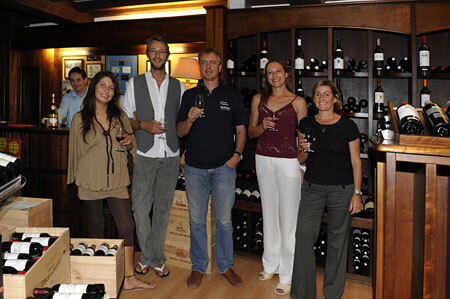 Celebrate Beaujolais Nouveau with St. Barth Properties November 17, 2010. It is one of the most lively rituals in the wine-lovers industry and oh so French! 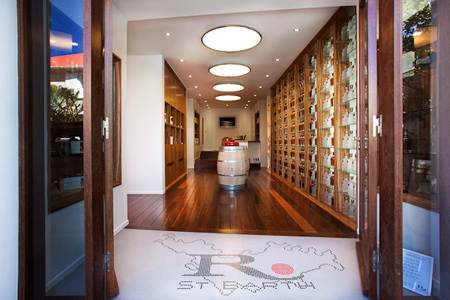 Guests staying at any of St. Barth Properties’ villas or hotels will be able to participate in the St. Barth Beaujolais Nouveau celebration. A race to see who will be the first to serve Beaujolais Nouveau, a hugely popular wine, has become not only a global event but also a tradition on the island of St. Barth. The first taste of the Beaujolais harvest can only be served at one minute past midnight on the third Thursday in November. 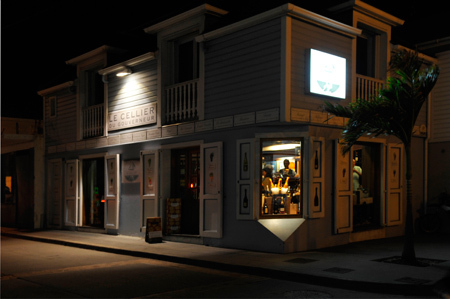 However, midnight in France is only 7 p.m. in St. Barth! The celebration begins in St. Barth precisely at 7:01 p.m. on Wednesday, November 17, 2010. By the time it’s over, more than 65 million bottles (worldwide) of the Beaujolais Nouveau will have been consumed. Beaujolais Nouveau began as a local phenomenon in the bars, cafés and bistros of Beaujolais and Lyons. In 1938, regulations and restrictions were put in place to restrict where, when and how Beaujolais Nouveau was to be consumed. 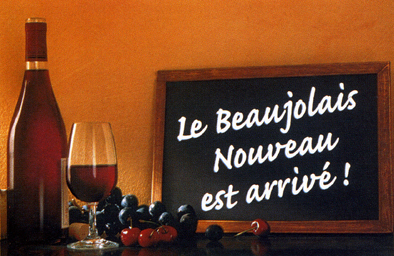 Beaujolais Nouveau is always released the third Thursday of November, regardless of the start of the harvest. Regulatory authorities permit the wine to be shipped to international destinations well in advance of the release date, so it will be in place and ready to sell on Nouveau Day. All the grapes in the Beaujolais region must be picked by hand. These are the only vineyards, along with Champagne, where hand harvesting is mandatory. Beaujolais Nouveau is made of grapes that were still on the vine only three months earlier (thus the “nouveau” which means new). 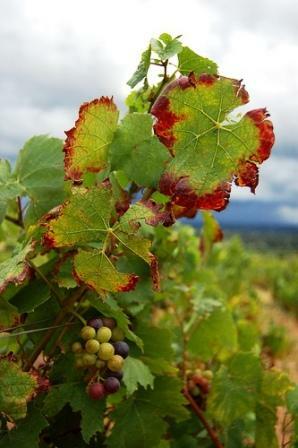 Because it is harvested so soon, this wine is not one to keep for a long time; it must be consumed within a few months. When serving the wine, it should be slightly chilled (about 55 degrees), in order to enhance the taste and fruitiness. If you are going to be in St. Barth during the week of Beaujolais Nouveau (November 17, 2010, the St. Barth Properties on-island staff will include, in your Welcome Packet, an invitation to attend a special Beaujolais Nouveau celebration on Wednesday evening. Everyone enjoys this fun event! 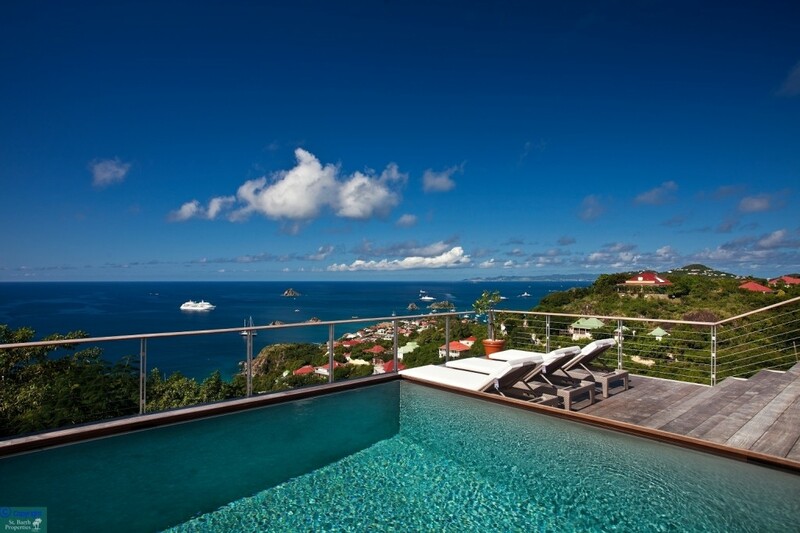 What better place to experience this special occasion than on St. Barth.